With Easter falling so late this year — April 21st — the potential for better weather for all of the egg hunts and activities improves. Residents of MN new homes throughout the Twin Cities area won’t have trouble finding plenty of activities for the whole family to enjoy. Best of all, although there are plenty of events in the area that cost around $5-10 per person, there are also numerous events that are free. So if you’re looking for a fun but inexpensive way to celebrate, here are some of the upcoming events in and around the Twin Cities. Flashlight Egg Hunt will take place at McRae Park in Minneapolis, from 6pm-8pm. No registration is necessary, but participants must be in the park building by 6pm in order to enjoy the egg hunt at dusk. Before the egg hunt begins, kids will be making glow-in-the-dark crafts. Spring Holiday Party. This event at Arlington Hills Community Center in St. Paul will include games, prizes, spring activities, and more for ages 12 and under. It runs from 11am-1pm. The Giant Egg Hunt. From 1-3pm at the McDonough Rec Center in St. Paul, there will be an egg hunt, prizes, activities and refreshments, geared for children 12 and under. Lunch with the Bunny. From 11am-1pm at the Jimmy Lee Rec Center in St. Paul, this fun event will include lunch and pictures with the Bunny (bring your own camera), as well as an egg hunt, arts and crafts, music, jump castles and more! Spring Celebration at Hancock Rec Center in St. Paul will feature carnival games, fun crafts, a bouncy house, an egg hunt and a visit with the bunny. This event runs from noon to 2pm. Helicopter Egg Drop. For something a little different, visit the Langford Rec Center in St. Paul where a helicopter will be dropping Easter eggs into the park from 1-2pm. There’s a limit of five eggs per child, but open to all ages. Annual Spring Egg Hunt is a hunt that children of various age levels can enjoy. 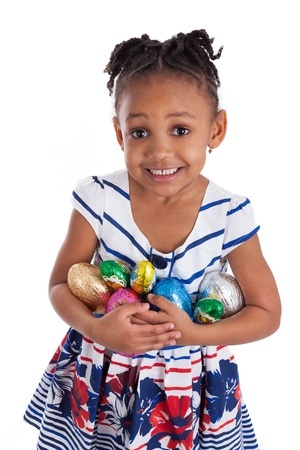 From 10:30am to noon at Van Cleve Park in Minneapolis, children will enjoy the egg hunt, as well as egg and basket decorating, tissue paper flowers, spin art, and snacks. Flashlight Egg Hunt. There’s another chance to enjoy a flashlight egg hunt, this time at Creekview Park in Minneapolis. Geared for children seven and under, it takes place from 7:30pm-8:30pm. Bring your own flashlight and make sure you’re at the park by 8pm to take part in the hunt. Hip Hop Egg Drop. Take a hop down the patio trail at East Phillips Park in Minneapolis and find some eggs along the way. Other activities include craft projects, a bunny hop, and treats and refreshments for all. The event is from 6:30-8pm for children at least six years old but younger than 18. Participation is free but registration is required. Bunny Party & Egg Hunt Windom Park NE in Minneapolis will host children 7-12 years old for a fantastic party with games, a bounce house, an egg hunt and more. The fun takes place from noon to 2pm. Community Egg Hunt Visitors to Lake Nokomis Park in Minneapolis will enjoy a morning of treats, activities, face painting, and pictures with Peter Rabbit. There will also be an allergy-free egg hunt. The festivities take place from 10am-2pm. Spring Celebration Even after Easter is over, there is still plenty to celebrate about spring! Head to the Linwood Rec Center in St. Paul from 1-2pm for May Day flower activities, face painting, spring crafts, refreshments and a bounce house offering fun for all ages. These are just some of the free events taking place throughout the Twin Cities, so there’s no shortage of Easter and spring events to celebrate. Mark the calendars in your MN new homes and get ready for a fun and fabulous April!